Stephen Schwarzman said he expects Greek voters to support a referendum on austerity that may seal the nation's future as part of the Eurozone. "I'd be surprised if it wasn't a strong 'yes' vote," said Mr Schwarzman in Dublin yesterday. 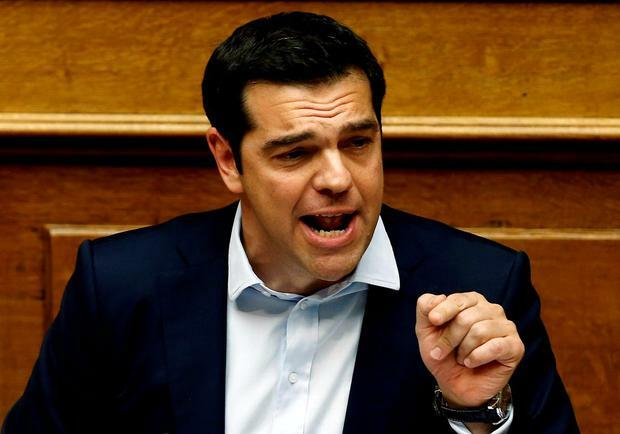 He was speaking just as it emerged that Greek Prime Minister Alexis Tsipras, inset, had offered to accept proposals from the nation's creditors to end a standoff over its bailout programme, subject to certain conditions. Greece's creditor institutions still view an austerity referendum, planned for Sunday, as an issue for reaching a deal with Mr Tsipras, according to an EU official. In the event of Greek voters rejecting creditors' demands, the nation's financial system would have to be supported, Mr Schwarzman said. "The pattern of withdrawals that have been fully covered by ECB loans would suggest that without those loans you'd have a collapse of the banking system," he said. "How the ECB and Europe would transition that is something that I don't know." Mr Schwarzman said he expected contagion from a Greek exit from the Eurozone would be contained.